Airflow at 0[Pa] = 950m/3 and 14 settings! 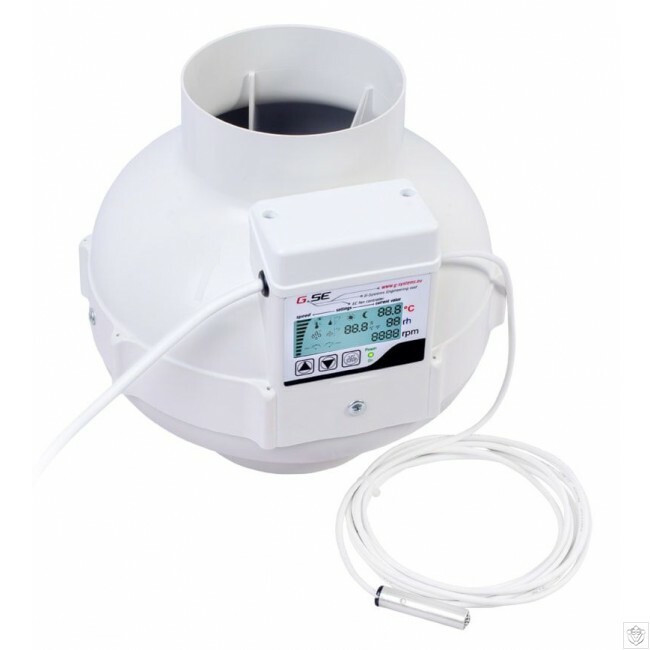 The EC-fan (electronically commutated motors) have a diameter of 125mm soon available as 160mm and 200mm), it is a very power full fan with 950m3/h at 0[Pa]. The EC fan have the characteristic that makes no hum on the low rotation and fulfill the required efficiency law by 2018. 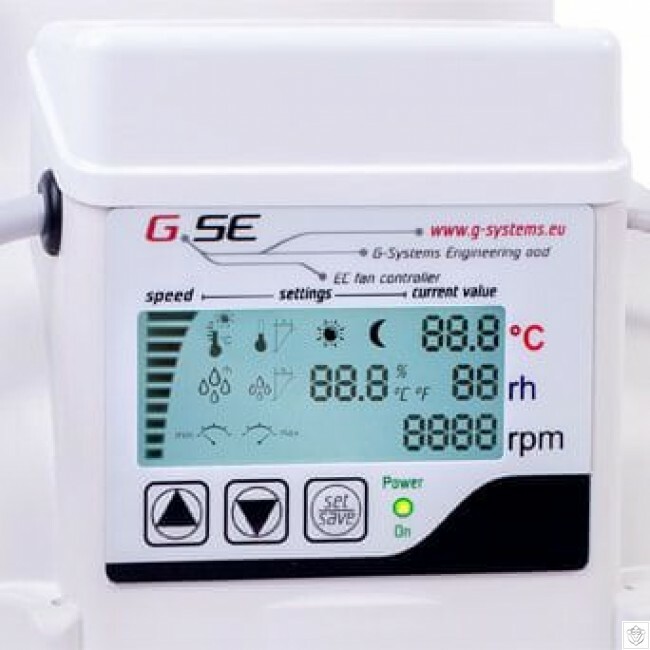 A built in LCD display with keyboard and power LED allows very easy settings and reading of all the information given by the fan such as actual set speed, temperature, humidity day/night and rounds per minute of the motor. A built in light sensor in the probe recognize day/night modes. 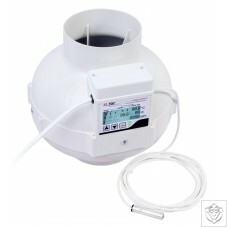 The Ventilator comes with 1.5m power cable and 4m sensors cable, it is ready to use. You can program 14 individual settings with only three buttons.